On Thursday, the 13th of October 2016, at 07:45h CEST, block 1,000,000 was reached. At that time, the snapshots ended and the asset that represents the ARDR token was distributed among all the Nxt accounts according to their average NXT balance during the last 3 months. 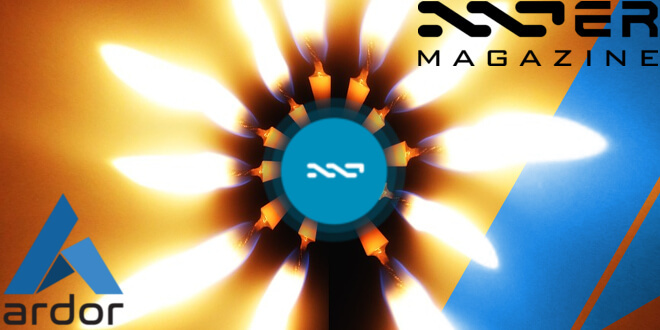 From this moment on, until the new Ardor chain goes live, which is expected by the third quarter of 2017, the ARDR asset can be freely traded on Nxt’s Asset Exchange, or at centralized exchanges that voluntarily elect to do so. The exchange HitBTC was the first to allow users to trade the ARDR asset. The announcement was made a few days before the ARDR distribution to Nxt users took place. Inclusion of ARDR in such an exchange will allow for a bigger ARDR trading volume as well as provide the possibility of using some other coins than NXT to buy/sell ARDR and thus increasing its popularity, exposure, and distribution of the future chain. Soon after the HitBTC announcement, the exchanges Bittrex and Changelly also launched their ARDR – BTC markets. We’re pretty sure that some other exchanges will follow this path too. Today, on 17.10.2016 Poloniex added ARDR – BTC market. The launching of the ARDR asset has caused a lot of attention to the Asset Exchange by significantly increasing the volume and number of trades. The Nxt Asset Exchange is a peer-to-peer exchange built directly into the Nxt software, thus allowing secure and fast decentralized trading for Nxt Assets. This eliminates the need to transfer assets or to put trust in an outside agency or business, as is the case with the centralized exchanges. You can see all the statistics of the blockchain usage using the block explorer at myNxt.info. Evildave, a member of the Nxt Foundation, with the help of Wolffang and Marenkar, has made a detailed tutorial about how to trade ARDR on the Asset Exchange. This will come handy for both newcomers and for that people who want to refresh their knowledge of this feature. NRS 1.10.3 has been released. There are some changes when faced with the previous NRS version. Among them are some code and other parts of the GUI related to the ARDR snapshot having been removed, as well some improvements to achieve a faster execution time when performing some functions. Some other minor changes have also taken place. The copyright of all GPLv2 code contributed by the Nxt Core Developers to the Nxt Reference Software now belongs to Jelurida IP B.V., a private company registered in the Netherlands. Please contact info@jelurida.com for commercial licensing options if the GPLv2 license does not fit your private blockchain needs. Last July, “The Forging Bounty Lottery” was announced. It was a campaign started by Megalodon to create incentives to launch Nxt nodes. Megalodon placed 5,000,000 NXT for the campaign. These funds have been staked through the snapshot period. Because of this, the plan now has a considerable amount of ARDR which will also be distributed together with the reaming NXT to users who run Nxt nodes. ARDR in Sending Account: NXT-G98N-SZGX-Z8ZA-9HNY6 will be distributed as forging bounty in the current Nxt blockchain. ARDR in Funding Account: NXT-HH9F-JMRB-6HRD-HD5ZW will be distributed as forging bounty in the upcoming Ardor blockchain. Lurker10 is working on an updated version of current script that will enable this. So far, Megalodon is achieving more than satisfactory results. At the time of writing, Nxt has reached 300-350 public nodes, what gives the network a great level of security. Roger Aitken, writer for the Forbes magazine, Gautham for the NewsBTC magazine, Ali Raza for Opptrends, and Sander Machado for Criptonoticias have highlighted what we already mentioned some days ago in our newsletter: Microsoft Azure, the integrated cloud services that has analytics, computing, database, mobile, networking, storage and web services, created by Microsoft for building, deploying, and managing applications and services through a global network of Microsoft-managed data centers, now allows one-click deployment of Nxt nodes. Nxt is now a Blockchain-as-a-Service platform on Microsoft Azure! This announcement will promote the implementation and Nxt growth on this popular platform. The great impact that this piece of news is causing among these media outlets is a clear evidence of its importance. Kanoptx tells us in this article for the Coremedia magazine about the recent ARDR token give away after the snapshot period that has run for the last three months is over. He also talks about the future Ardor platform, which will be released in the third quarter of 2017. The article also deals with the launching of the new company called Jelurida BV, which owns the intellectual property of the code of Nxt. In this radio interview by the Dutch station BNR radio, Bas Wisselink of the Nxt Foundation talks with the interviewers about the praises and possibilities that this platform provides to users. As a prominent theme, they establish an interesting discussion about the use of blockchain in governance, society, and community. The interview is in the Dutch language. Our colleague Travin Keith (AKA Marenkar) of the Nxt Foundation, appears in this weekly video news summary by Wave’s Crypto Round. Starting at the 2:55 into the video, Travin goes over the recent ARDR distribution among Nxt users, the future launching of the Ardor blockchain, and the future features that this Blockchain-as-a-Service platform, an evolution of the current Nxt blockchain, will have: Marketplace, Voting System, Asset Exchange, Messaging System, Coin Shuffling, and of course, the possibility for the users to create on-demand child chains and how to operate them. Thank you to ShutterBird Production for helping Travin! This article by Thomas Moore at DCEbrief deals about the recent agreement between Russia’s National Settlement Depository (NSD) and South Africa’s Central Securities Depositories (CSDs) to begin initiatives that use distributed ledger protocols, as well as some other advances and agreements that are taking place in this field. Let us remember that the NSD has already developed a prototype of a high capacity voting system based on Nxt technology that is able to achieve up to 160 transactions per second with no problem. The ardorplatform.org website has went through a restyling in order to add new information, and rearrange some of the existing sections. With this redesign, the visitors’ experience will be nicer and will make it easier for them to learn the new functionalities that Ardor will have, such as the creation of child chains and its possibilities. This peculiar asset intends to foment community spirit. It was first used at Nxtchat on Slack, where, as any other asset, it can be tipped to other users using the NxtTipBot. With a simple command you can award other members of the Nxt community with beers (official size 0,5L). The asset never expires, and the redemption can only take place when the two users meet together. Do you fancy a beer?